You know what my favorite part of traveling in Iceland is? Going to places that are off the beaten path! Don’t get me wrong, places like Geysir and Skogafoss are definitely sights worth seeing, but there’s something special about being the only one around in the middle of pure Icelandic nature! In January, I ventured out on a road trip for a day of exploring. I had my eye on these beautiful waterfalls for a while, so I was excited to finally see them in person! Even though there was still snow everywhere, and only 4 hours of daylight, that never stops me from discovering new waterfalls! Not to mention this is a 2-for-1 waterfall stop, 90 minutes from Reykjavik, who wouldn’t want to see it?! Especially if you are on your way to Snæfellsnes, or short on time, you NEED to stop here! Oh, did I mention I was the ONLY PERSON out there?! The perks of Iceland in the winter! When you get out of your car, you will immediately hear the rushing water of the falls. Walk straight ahead to a viewing platform to get your first look at the gorgeous Hraunfossar (translates to “Lava waterfalls”). When I first saw Hraunfossar it was everything I had imagined, but BETTER. You guys, this is the ultimate waterfall: a long wall of water cascading over moss covered lava, falling into bright turquoise water! The water falls into the Hvitá River – downstream from Gullfoss waterfall! I love the look of this river, bright water carved out between sharp lava walls. If it’s a clear day you can see the Langjökull glacier in the bg. After plentyyy of photos, head right to start walking towards Barnafoss. There is a well marked path, then you will come to a bridge crossing over the river. But don’t forget to admire the scenery along the way! Look at all the colors in the rocks! I need a geologist friend to explain all of the awesome contrasts in Iceland! First of all: that water – are you kidding me?! Second of all: next level icicles happening that day. A woman and her two children were living on a nearby farm. The woman went to church service, leaving the kids at home. When she came back, the children were missing. People searched for the children and found footsteps up to the stone arch over the river. Devastated at her loss, the mother had the stone arch destroyed so no children could cross the falls again. Isn’t this area so beautiful?! I loved every minute of my short winter day trip. 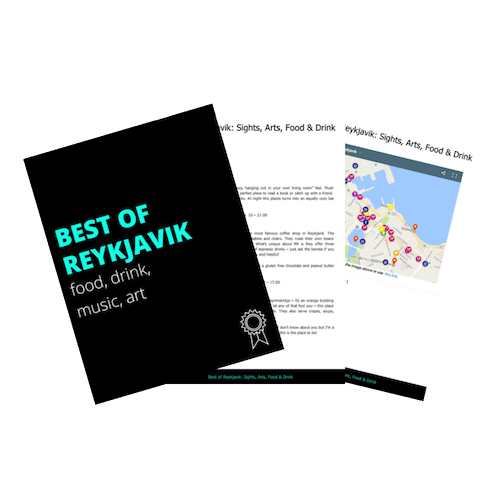 Being so close to Reykjavik, this hidden gem is definitely worth a stop. Drive around the fjord, gorgeous views, but add an extra 45 minutes-1 hour. After the tunnel, take a sharp right to stay on Route 1 towards Borgarnes. After about 10km, the road will split to Route 47, keep on Route 1 (the route is well marked with plenty of signs). Before crossing the bridge into Borgarnes, turn right onto Route 50, drive for 30km. Continue onto Route 518 towards Reykholt for another 20km. You will see a sign for Hraunfossar on the left side of the road. Question: Do you like visiting hidden gems while traveling, or stick to the popular tourist destinations? Hello Jeanie, quick question here- do I need 4WD to access road to Kirkjufell and these two waterfalls? Just forget about the bus trip to Akureyri. We just finish “our studying” of “HOW TO TRAVEL THE RING ROAD IN 7 DAYS”. And that’s what we will do, but as you said that you wished you’d have had more time to stop at each place, We are thinking of making it a 12-14 days trip. Any new hints are very welcomed. Sounds like you two are having a blast planning! Driving the Ring Road is a MUST in my opinion! If you have the time, I would definitely suggest a 12-14 day trip. It will still be full with things to do and will go by so fast! We read all your usefull articles. Right now we are working on “HOW TO TRAVEL THE RING ROAD IN 7 DAYS”. Saw your video too (SIM CARD). I could say that now we are members of your fan club. We are considering a 5 day trip to Akureyri by bus (7 hs up + 3 days there + 7 hs down), but from the pictures we’ve seen it seems to much for to little. Is there a wisely way to spend these 5 days ? Please, give us your advice. My wife and I will be at Reykjavík next november/17, we will spend a couple of weeks there, maybe “The Northern Lights” will show up (fingers crossed), Iceland is the 11th stage of our 7 month trip. The only problem is that we are not used driving snowy roads, do you think with a lot of caution we can make this a day trip from Reykjavík ? We’d like to “drive around the fjord, gorgeous views” and add an extra 45 minutes-1 hour to our trip. Your “Hidden Gems” have just inspired me to go off the beaten path and explore Thjófafoss, Hraunafossar, and Barnafoss waterfalls (btw, loved the legend about Barnafoss!). So stoked – thank you! Always best to take the road less traveled 😉 Will be in Iceland next week!! Awesome Joe! SO glad that I could inspire your adventure side. I always find it’s worth it to find those gems 🙂 Hope you had a great time in Iceland! This is so gorgeous! Hidden gems are the best. Going off the beaten path really is the best sometimes! Hidden gems are the best. 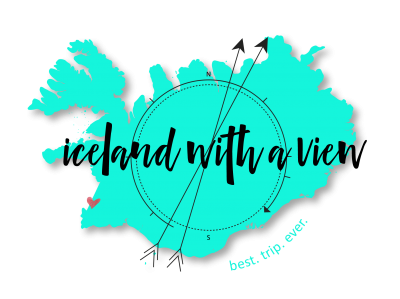 Also: I just stumbled here, and I don’t have a trip to Iceland planned in the near future, but my travel lust is growing stronger and stronger as I see your beautiful photos! I can see why you sold everything and moved there. Looking forward to following along. And–hopefully using these as a reference one day! The other day I dreamed I traveled to Iceland. Pictures like this might be the culprit. It is just so freakin’ gorgeous!